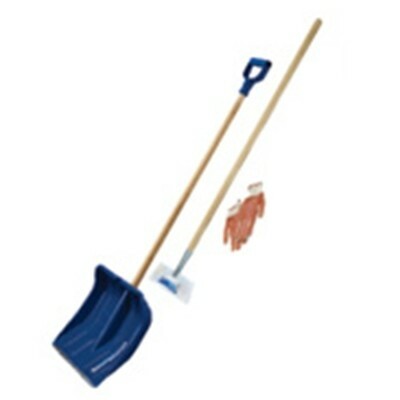 A very tough snow shovel with a metal ice breaker. A complete kit to remove snow and ice from your paths and walkways. Includes gloves to keep your hands warm! Used in shops, clubs, small businesses and domestic. 1 x Strong ice breaker made from steel with a wooden shaft.